Security on Android wasn’t a big issue until it got popular amongst mobile users. Though Android’s user base is almost as large as that of Apple’s iOS, the amounts of malware applications that have sprung up on this platform have left many users worried. 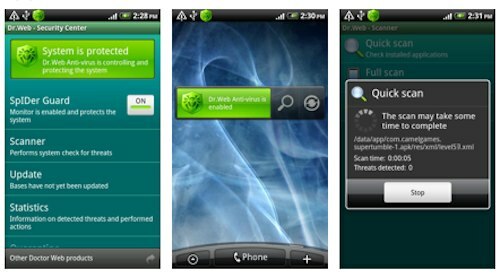 According to a recent report by Lookout Security, an estimated half a million people were affected by Android malware in the first half of 2011. Though general precautions like avoiding suspicious looking software might keep you safer, there are pretty good chances that you might have inadvertently installed an app that's infected. Like me, if you too are worried about the security of your beloved Android, read on as we discuss the best antivirus applications that are available for this platform. Lookout is one of the most popular antivirus applications for Android. With the free version of the application you’ll get features like antivirus scanning, backup and restore and ‘find my phone’ functionality. The app is very good at blocking malware, spyware and phishing attacks, which your Android phone is normally vulnerable to. 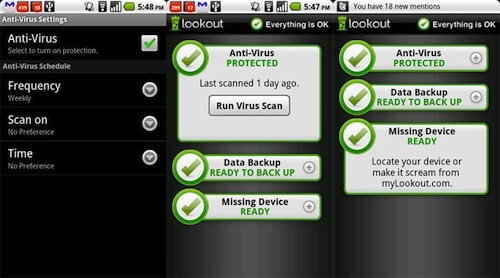 Lookout silently runs in the background making sure that every app you install is free from any viruses or malwares. If you’re a busy person, you can schedule daily or weekly scans just to make sure that your Droid is always clean and healthy. Running the app in background doesn’t have any significant effect on battery life or performance, which makes this app the number one security app for Android. If you ever lose your phone, you can set Lookout to activate a loud alarm (even if it is on silent mode). Through the website, you can then locate your phone via Google Maps. The app also remotely enables GPS so that finding your phone becomes easy even when GPS is turned off. Other interesting feature is its ability to backup and restore contacts making this a complete security suite for your mobile. If you’re a Windows user, you must surely have heard of AVG, the popular antivirus software. 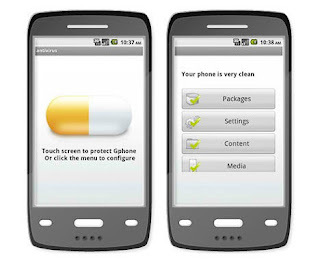 Now the same company has launched an Android version of the antivirus. Titled AVG Antivirus, the app comes with some great security features. The free version comes with essential features like real-time scanning of apps, media files and settings, lost phone locator, backup and restore, lock and device wipe, and the ability to kill slow tasks. There is also a feature that lets you schedule weekly and daily scans for enhanced security. As compared to Lookout, AVG has more features like slow task killer and privacy protector. But, AVG drains the battery much faster than Lookout that is a turnoff for many users. If you want more features, you can also opt for the pro version. This is a lightweight antivirus application that doesn’t drain your battery. Antivirus Free offers features like spyware and trojan protection 24 hours a day. The interface is one of the easiest I’ve used as far as security apps are considered. Though not as robust and feature-loaded as Lookout, Antivirus Free is a great app if you are looking for something lightweight to secure your Droid. 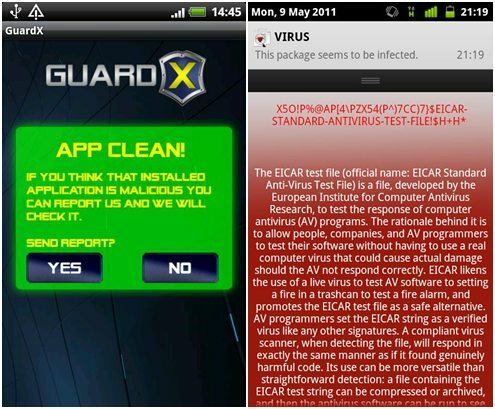 This free app offers realtime protection against malwares by scanning each new application that you install on your droid. 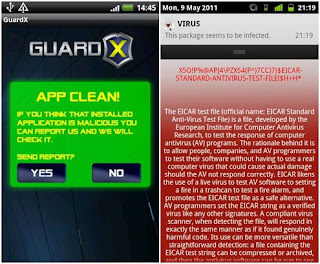 Guard X boasts of a large database of latest viruses so that your device stays protected from all the latest threats. The app is light on your battery and sports a very easy-to-use interface. If you are looking for a simple, free yet effective antivirus, then Guard X is your best bet. This free application uses a unique technology called Origins Tracing to detect viruses. Origins Tracing is an algorithm designed to effectively detect any threat which might exist on your Android device. There is also real-time protection that makes sure that all apps you install are clean and virus-free. The pro version of the app includes more features like widgets, filtering mode, blacklisting and more. Overall, a great free and lightweight app that is quite effective in threat detection. 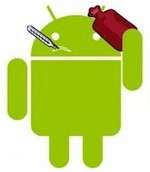 Antivirus software is essential for Android as the market share grows so do the attacks... Check out AVG Antivirus Pro for Android its he best antivirus software for Android. I think you're missing the point. On linux you have full control of what you run as root. You have the official repos, git and all. But when you get an apk from the last tavern of interet, you may wanna know this : if/when I run this like root, is there any script that will delete/modify/break any of my OS files? Is there any part of code that will burn my cpu? A jail-breaked iPhone have those same potential riskes. Everything you run as root must be checked.